Scratch built in wood using plans in Model Railroader magazine for their 50th Anniversary model contest in 1983. Weathering was done with chalks. 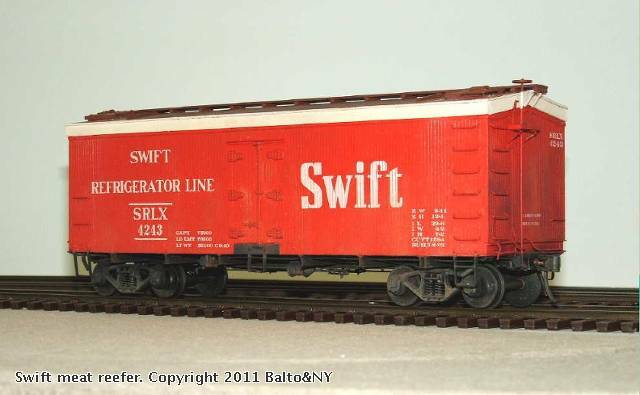 It was not over-done because Swift in the 1950s kept their wood bodied cars in reasonably good condition and appearance.